John Pickett, Jim Hawman, Barbara Camunez and Sharon Alberson. 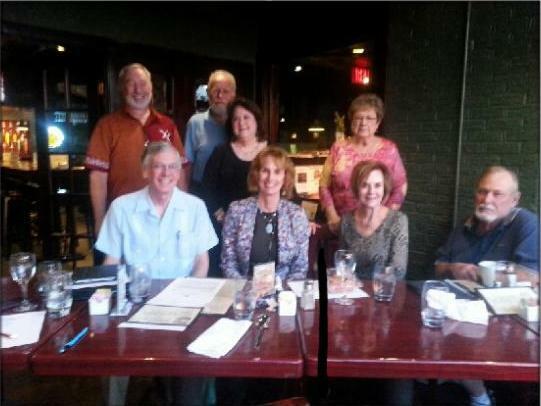 Front row includes Jim McKinney, Lynn Rigney Richardson, Jeanne Ruth Wallace Garland and Frank Simpson. Most importantly, behind the camera, and completely invisible, is Kay Stevenson Petracek. Others not in attendance, but helping to plan and carry out the reunion include: Dennis Finn, Charlotte Murray Winans, Stevie Stream Pack, Mike Pack, Mike Groves, Rita Triviz, and Harry Hansen.